January | 2016 | Ready, Set, Glow! Green beauty, healthy living, fashion, and so much more! 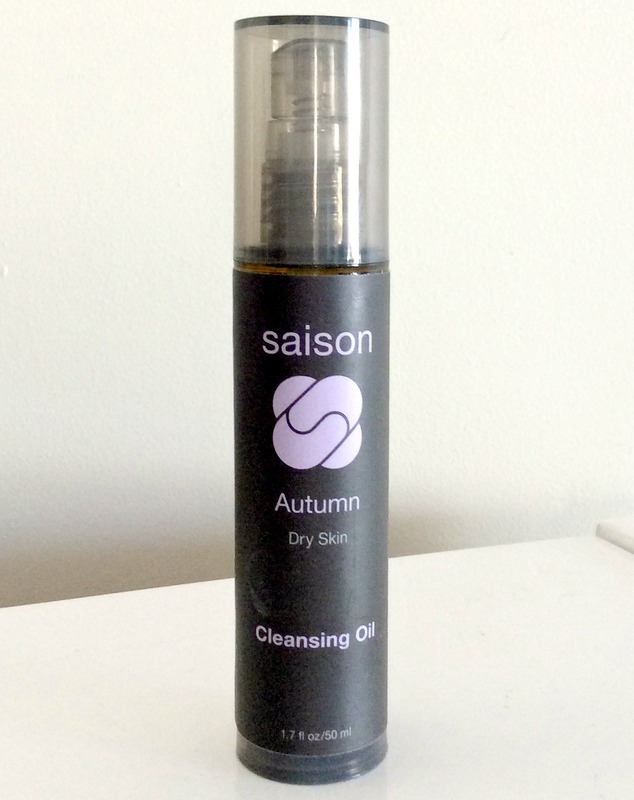 Saison Beauty Review: what season is your skin in? We all experience different “seasons” in our lives, right? Well, so does our skin! Is your skin oily? Than you’re in Summer. As for me, I have the driest skin, so I’m in between autumn and winter. 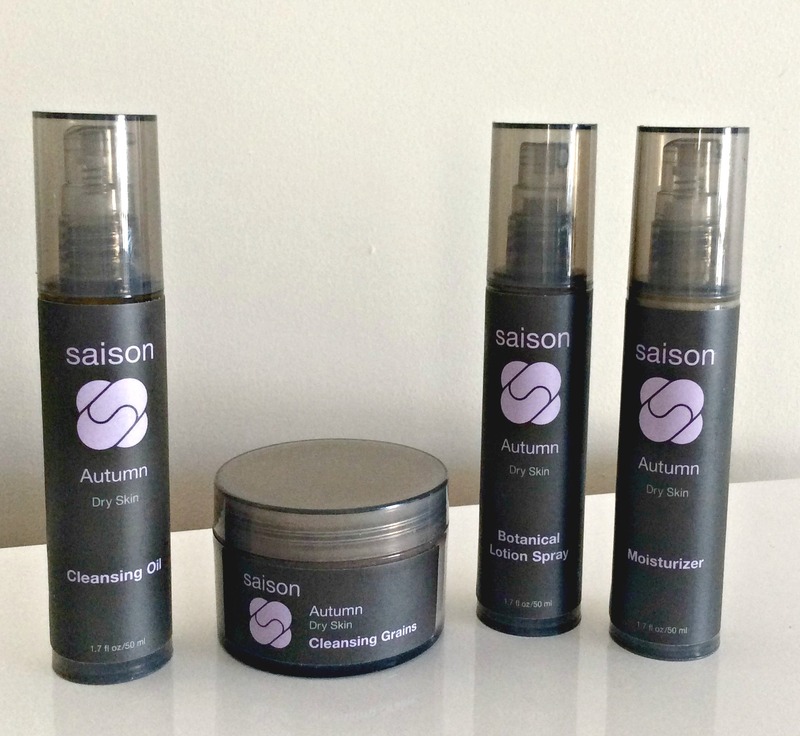 Here are my thoughts on a beautiful seasonal skincare brand, aptly named Saison Beauty. Saison is French for “season”. Find out about your season! 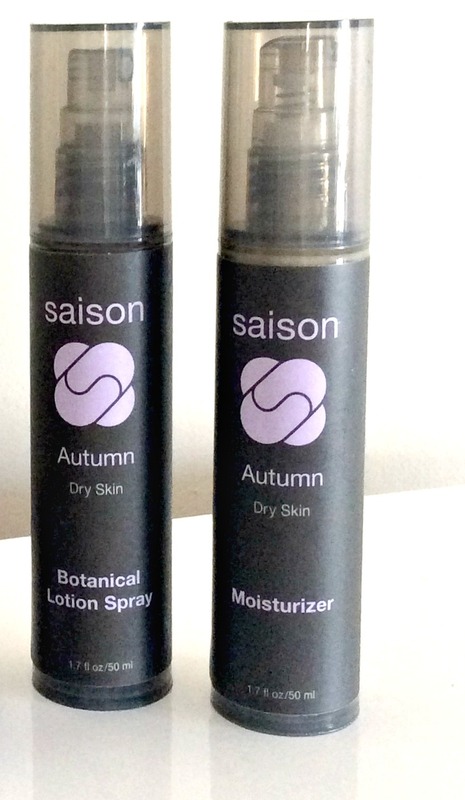 Saison Beauty’s foundation is inspired by the changing seasons of the year. The products are designed to nourish and restore skin throughout the seasons. Founder Julie Kim’s approaches to skincare is akin to the one we have with food. The products are beautifully handcrafted in small batches with the purest, freshest ingredients and plants produced during that time of the year for each season. So the fruit, plants, or nuts you would normally eat in any given season, are the ones you’ll find in the products for that particular season. Also, like food, the products are perishable (because they are natural, therefore free from preservatives), so they have to be used within a reasonable timeline. Saison Beauty’s recommendation is to choose based on the season of the moment. Julie states that the notion of “skin type” is very fluid because it changes in the course of the year. I’m inclined to agree with that; I usually have dry skin, but it changes from time to time. In the summer, I have normal or combination skin (normal skin with an oilier T-zone). Some of you may consistently maintain the same skin type during the year or your skin may not be affected by the weather. If that is your case, Saison Beauty has a designated season for your skin type. Mature skin, use the Winter range. Every range has 3 products to be used daily; the Cleansing Oil, the Botanical Lotion Spray and the Moisturizer, and 1 product to be used weekly; the Cleansing Grains. Although the fall season is over, if you have dry skin, the Autumn range is ideal for you. I tested the line weeks into fall, just as my skin was starting to get dryer and itchy. Let me say, the products are great individually, but as a whole, the results are much more significant when you use the 4 products all together. The Autumn range offers nourishing and replenishing products filled with antioxidant rich ingredients such as organic grape, pumpkin, rosemary, rice, safflower and sweet almond. If you haven’t tried a cleansing oil thus far, this would be a great way to start. Cleansing oils are beneficial to all skin types. The Autumn Cleansing Oil* , a non-foaming cleanser, gently removes dirt, grime and even makeup. It doesn’t strip your natural oils and leaves your skin moisturized and fresh. I really love it, it’s in my travel bag and it has become a go-to, especially in my night routine. I make sure I massage it on my skin to let all the goodness and moisture sink in. Then I wipe with a lukewarm cloth. 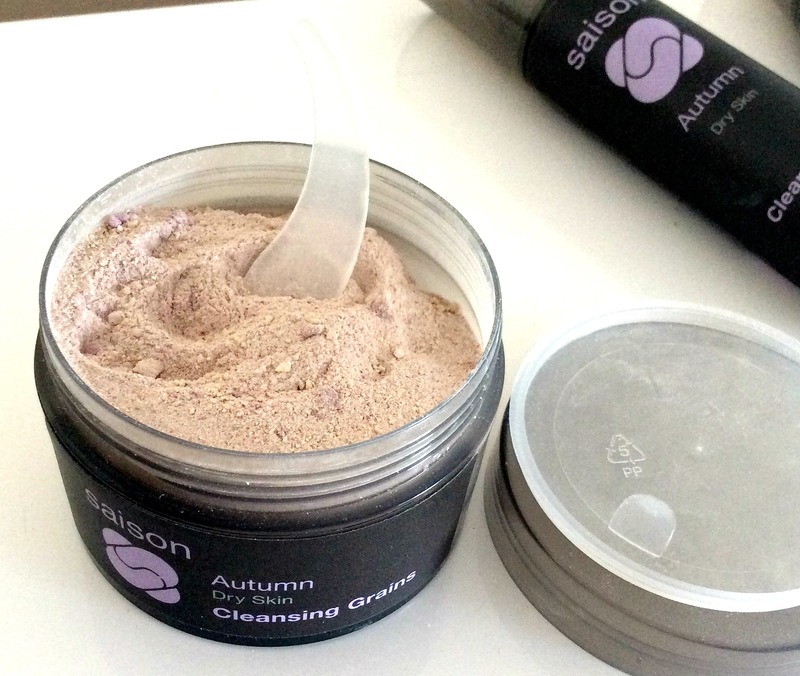 I use the Autumn Cleansing Grains* once or twice a week, depending on how my skin feels. Fruit enzymes and acids gently exfoliate. Comes with a plastic spoon. The simplest way is to use with water, but I prefer aloe vera or rose water. It makes a great foundation for a gentle exfoliation mask in which you can use the ingredient of your choice (i.e. greek yogurt, raw honey, avocado, banana, etc). These cleansing grains leave skin soft and rejuvenated. As you know, exfoliation helps all other skincare products perform better. The grains are enhanced with organic rice and milk, natural clay, and honey powders. Also, the fruit enzymes will naturally exfoliate dry and damaged skin, so that clear, healthy skin will show. That’s right, glow on, ladies…and gents! Ingredients: Sodium Bicarbonate (Baking Soda), Kaolin Clay, Honey, Ananas Cornosus (Organic Pineapple), Organic Milk Powder, Vitis Vinifera (Organic Grape), Oryza Sativa (Organic Rice), Fragrance (made from pure essential oils) . This toner is addicting! 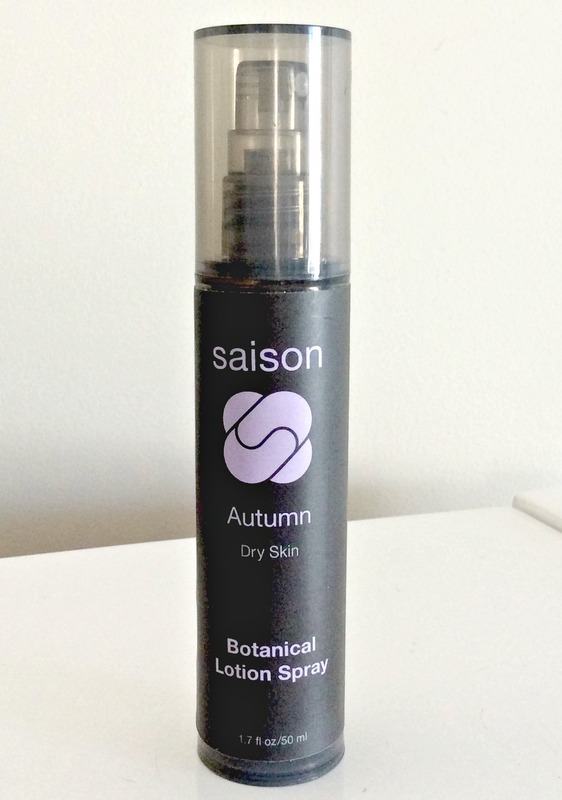 The Autumn Botanical Lotion Spray* does a great job as pre-moisturizer step. Great toner with a lovely scent. It is made with Aloe vera water and floral waters, so it’s very soothing for the skin, refreshing and very hydrating. It brings my skin back to life while it calms the itchiness. I layer it with the Autumn moisturizer before and after. The scent is invigorating and clean, which I love. I always make sure I breathe in when I spray it on, it’s like standing in a field of lavender. The fragrance comes solely from pure essentials oils (herbal notes and lavender). This product is a great way to freshen up your skin during the day. I must say: it’s one of the few toners I can use after my makeup application, thanks to the fine, light mist evenly distributed by the mister. It is perfection! Some misters will splash all over your face, and I hate to ruin a perfect cat-eye! Kudos for the practical packaging! Use the Botanical Lotion Spray with the Moisturizer for best results. When the colder seasons set in, my main concerns for my skin are moisture and nourishment. Saison Beauty tackles both issues with this moisturizer. The wonder oils included in this gem are so beneficial for the skin. Pumpkin oil is an amazing moisturizer; the essential fatty acids provide moisture without greasiness and regulate skin oils, which makes it great for dry and oily skins (especially if you’re acne prone). Another star included in this product is the Rice oil. Also a great moisturizer and hydrating agent, it is potent in antioxidants which protect skin against free-radical damaging UV rays. There’s also Rosehip oil and Wheat germ oil, not to mention the best of floral and plant waters. The consistency of this cream is ideal for those who want moisture without the heaviness. Make sure you use the Botanical Lotion Spray before you apply this moisturizer, you’ll get optimal results. Because my skin is so so dry, this moisturizer alone is not enough at night or during the colder days of winter. I find myself going back and forth between this one and the Winter Moisturizer* (suited for Mature skin, it keeps my skin highly protected, nourished and moisturized). I am currently testing the Winter range, so stay tuned! I believe Saison Beauty focuses on the most important thing: nourishing ingredients. Let’s not forget that skin is a living organ, so it needs to be fed in order to be healthy. I love that the products are packaged in pumps, so you get ALL of the goodness to the last drop, no waste! I also love their streamlined regimen. It’s simple, practical and yields true results. I promise, your skin will love it! So, what season is your skin in lately? Would you pick based upon your skin type or upon the season of the year? Let me know what you think ! A green smoothie for your hair! A natural hair journey begins: I’m using Briogeo!